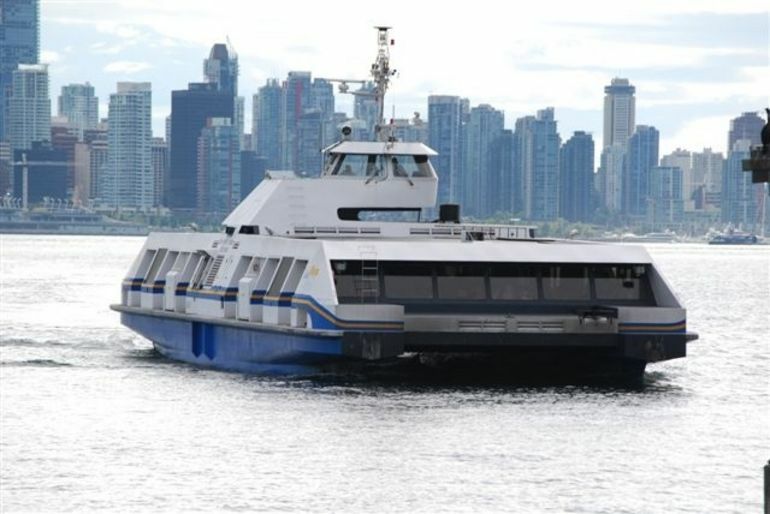 At a recent meeting with Translink in North Vancouver I made the unpopular remark that the SeaBus was an essentially anti-nautical experience. It almost seems like its designers, if designers they were, went out of their way to remove all semblance of seagoing joy from my daily commute on this utilitarian tub. Apart from the bright and bouncy box truss that spans the rail yards, it is an engineering oriented series of non-events that leaves us feeling like so many cattle. Don’t get me wrong, I love the crossing to Lonsdale and back. I’m probably the only commuter who takes pictures almost daily. But it could be so much better. Not famous for holding back, I went on to say this the cattle-like transport was complete anathema to what I’d learned in my work in themed attraction design, where the ‘visitor experience’ was paramount. On the contrary it seems like every conceivable means has been employed to make the SeaBus as deadly dull as possible. My deep Wikipedia research states that the SeaBus has the best and most reliable track record of any commuter ferry in North America and Translink is justifiably proud of this. But the infrastructure that supports the SeaBus, notwithstanding the grand neoclassical bus station, is abysmal. Not old enough to be funky, this infrastructure, including ramps, walkways, escalators and waiting rooms is relentlessly dull and dehumanizing. The pièce de résistance is landing at Lonsdale Quay and exiting into a dank, basement-like bunker linked to an equally dismal bus terminal. If there was an engineering matrix for lost experiential opportunities then Wikipedia would rank the Seabus first in that category as well. 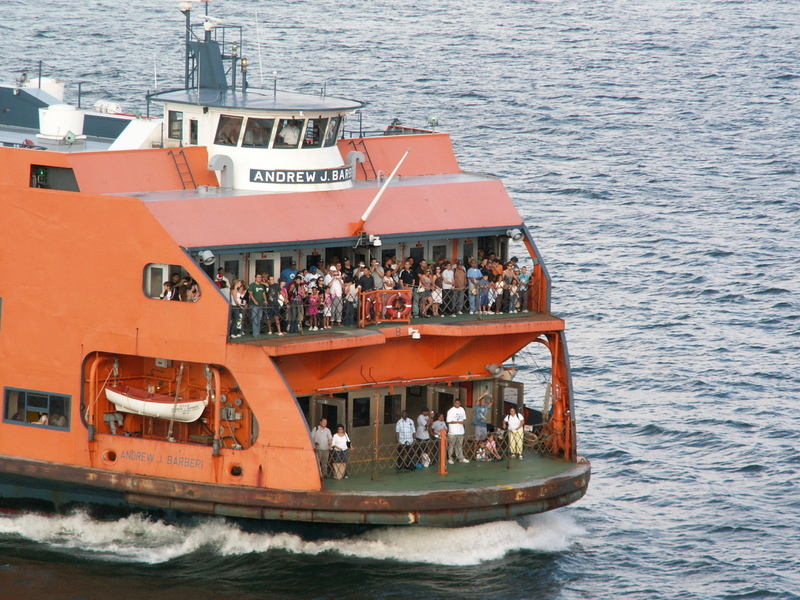 Let’s look for inspiration at another famous urban ferry experience from North America. “If I had just ten more cents I’d take a ride on the Staten Island Ferry” sang blues man Fred Neil circa 1960. Would you spend your last dime to ride the Seabus? It is quintessentially Canadian to be so concerned with safety as to remove even a whiff of adventure from a sea-crossing. Why else would they not allow so much as an open porthole on the SeaBus while endless scores of New Yorkers and tourists, crazy daredevils all, risk life and limb on the open decks of their ferry. Now, to Translink’s credit, they are trying to improve the SeaBus interface with a new customer management wicket thingee. But that is more about commerce than experience. Until they address the immense lost experiential opportunities for both local and tourist ridership, the SeaBus is an all-too-aptly named non event. Compare shopping at Granville Island and Costco and ask yourself which one most resembles the SeaBus experience. Vancouver has now moved beyond 1970’s utilitarianism into World class experiential status. The SeaBus is always on time but, ironically, seems to be running very late on this issue. Once again, imaginative and people-centred design is the key to solving this problem. I think a SeaBus Experience Design Competition is well overdue and would be money well spent by Translink and cities on both sides of Burrard Inlet. If you’re lucky enough to own a house in Vancouver, have you ever wondered how your kids are going to afford the same life you enjoy? Unless they’re trust fundees this will require a huge leap into financial independence that student loan debts and tight job markets simply won’t allow. We talked about the Laneway house as a Failure to Launch Pad but what about phase 2 when the Laneway dwellers are ready to start the next generation of your family. Clearly a Lane house, cute as it is, will be a bit small for this endeavor. Equally clear is the fact that Mum and Dad are rattling around in their erstwhile family home. Obviously a swap, where the overspaced exchange with the underspaced, is the logical next step towards happy ever after. The advantage here is that both parents and kids get to ‘age in place’ in situ. Moving can be a wrenching experience for older folks but not if it’s just across the back garden. Secondly, an intrafamilial reverse mortgage can be set up without the bank taking it’s usual oversized cut. There are some physical advantages inherent in the ground-oriented Laneway house itself. While many Vancouver houses have considerable level changes, even to get to the front door, the Laneway unit is designed to have ground level access with immediate proximity to parking – all very senior friendly. With a little preplanning a stair lift can be roughed in and ‘aging in place’ is a reality. A ground level garden/patio is yet another feature that adds appeal to the Laneway dwelling. It is also safe to say that back lanes are less travelled and at slower speeds than our streets, rendering them safer and quieter. Again, it’s the perfect environment for seniors and, if they find others of their ilk nearby, they may find themselves in a kinder, gentler community. But if solitude and quiet get too dull the grandkids are just a step away. In Europe it is common to have a family home for several generations. With the kind of flex potential afforded by the Laneway house we can achieve the same thing, but with good old North American autonomy as desired. Could this be the best of both worlds? If you travel down Vancouver’s myriad lanes literally hundreds of miles of unique sites await you. Unlike their more presentable street front counterparts, lanes hide our more casual, grungier and quirkier sides. That, and their more intimate, human scale is why they are so deeply appealing – to me at least. For me Vancouver’s back lanes look as if the tenderly neglected streets of Strathcona were secretly unravelled behind every proper/boring block of upright houses. They are our Hu Tongs, quiet refuges from striving to ‘keep up appearances’. So naturally I have mixed feelings about their gentrification as Laneway Mews festooned with cute little mini houses and micro gardens. Like all gentrification we’re drawn by the gritty charm and then do our best to destroy it. Sure, as a sustainable architect I love the compact scale and there’s already some very cool Laneway homes out there. But I also see the kind of creeping meatballism * that plagues most of our new houses: cute but fake historicist theming. I mean I like Craftsman as much as the next guy, but not 100 years after the fact. Let’s have the courage to live in our own era and not always in the McLuanist rear view mirror. 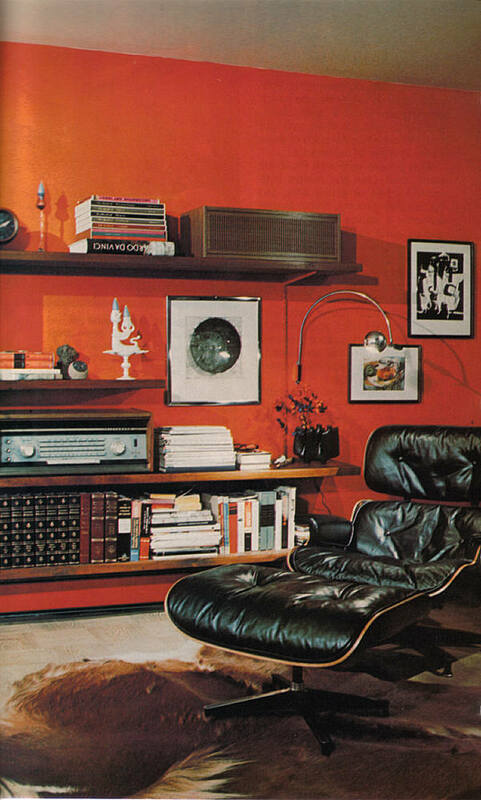 My wife pops my pompous modernist balloon by pointing out that neo mid-century modern is just as inauthentic as fake tudor but …it sure feels less fake (rant over). At any rate we should beware of making too many twee Laneway homes because they’re cute enough by being small ergo no need to embellish. So if we don’t turn our lanes into a linear Disneyland then the potential for a Strathcona/Kits style humanism, a kind of unDunbar, is huge. 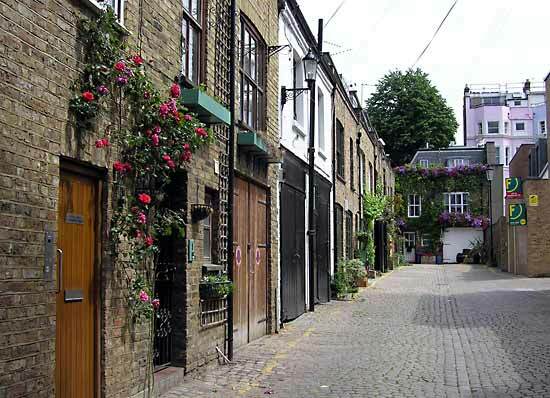 And let’s give the planners in Vancouver a lot of credit for recognizing and fostering the neighbourliness quotient of these wannabe Mews. While I have heard many west-side-soccer-parent express angst about the ‘Laneway house peril’ encroaching on their lifestyles, I completely disagree. Done thoughtfully Vancouver’s new Mews will be as charming and cherished as their, albeit denser, London antecedents. Think of it as a completely parallel Vancouver universe only smaller, friendlier, greener and slower than the one we have now. Imagine a stroll down an intimate, textured and human-scaled place where speeding cars literally don’t fit in. I’m willing to bet when these little hoods get rolling that is where most of us will want to hang out. 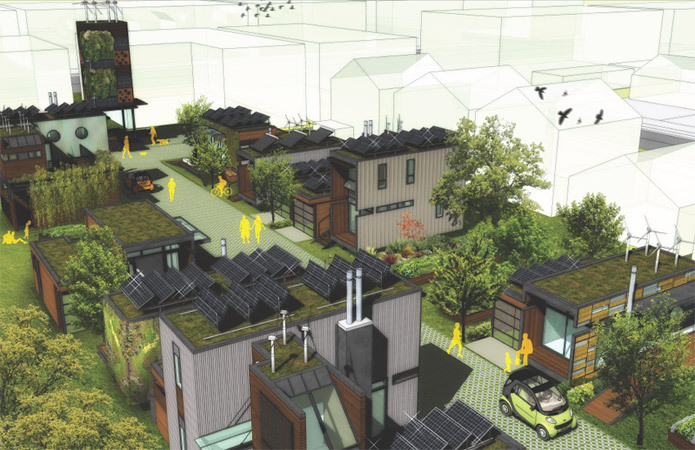 One of the most appealing aspects of the new Laneway House movement in Vancouver BC is the opportunity to build in a new way using low environmental impact technologies. While ‘The Not So Big House’ book managed to bring the small house to the popular imagination in 2001, building small, efficient dwellings goes back to our first neolithic efforts to create shelter. To their credit Vancouver’s early (post neolithic) Laneway builders, like Smallworks, have made significant progress in going green by using heat recovery ventilation and many other green technologies. Yet a truly ‘off the grid’ option has not been achieved and is not even allowed within the current by-laws. As such, EcoDensity is more about density and less about Eco than the name implies. 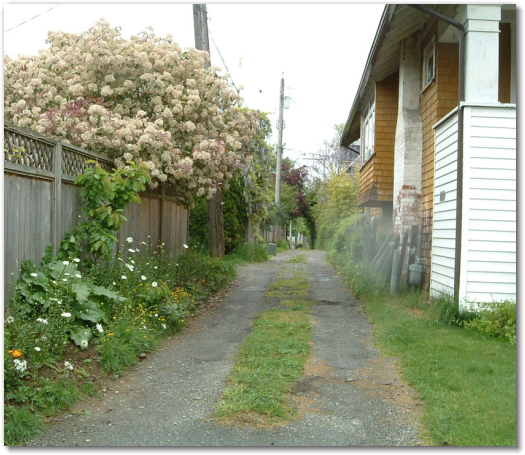 To address this discrepancy the City of Vancouver must make good on the environmental potential of Laneway Houses. A simple way to envisage this change is to treat the LH as an Urban Cottage. Like its country cousin the Urban Cottage would be designed for almost complete self sufficiency and shoot for net zero water and energy consumption. 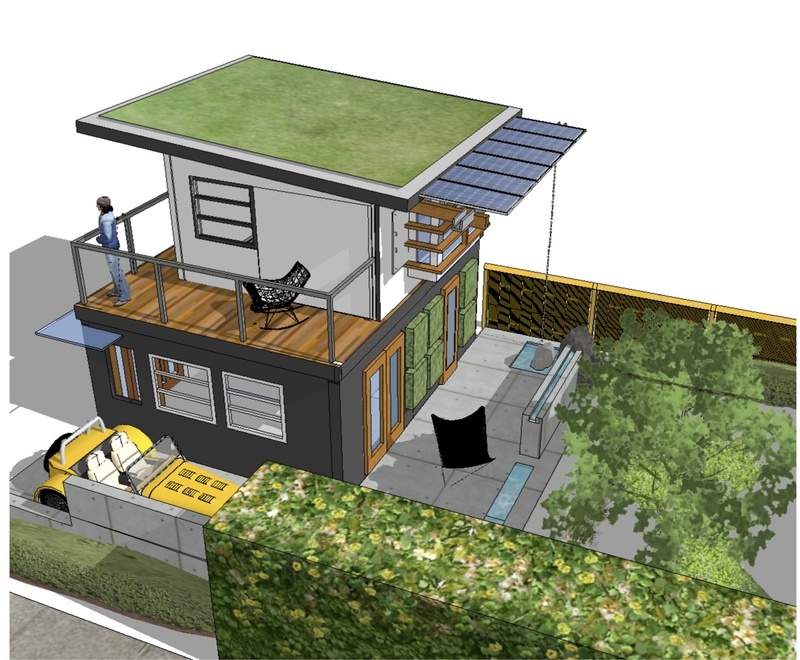 Not only does this make the Vancouver Laneway house far more sustainable, it also addresses the high costs incurred for hook ups to city sewer and power grids. So, as usual, environmental and fiscal sustainability are closely related. 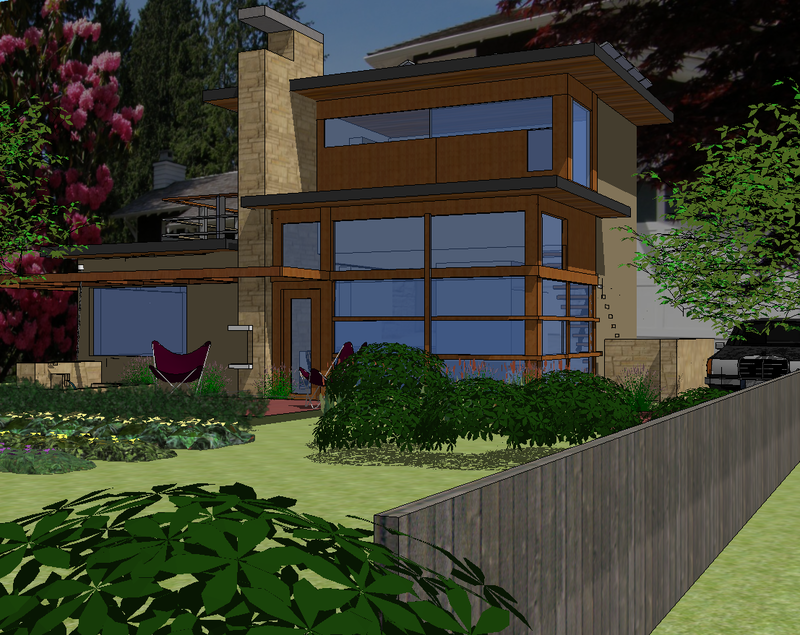 Treating the Laneway house like a Gulf Island cottage has other benefits. As we add more and more density we need to build larger and increasingly costly infrastructure to accommodate this growth. But if the added density is ‘off the grid’ then this endless upgrade cycle can be avoided. It’s a proverbial win win as both the city and its citizens save money and the environment at the same time. BUT….the current regulatory regime does not allow it. So how do we achieve what we all agree is a worthy goal? The sheer volume of regulations stacked against off-the-grid power, water and especially sewage treatment is very daunting. Suffice to say it would take a massive bureaucratic effort to overcome these obstacles, but it is a mistake to think that we can overcome them one regulation at a time. First we need to change the current regulatory mindset and create a sense of mission that goes beyond elected officialdom. Remember, its taken a long time and a lot of expertise to achieve the health and safety gains that these regulations embody. But it is not a matter of falling short of those laudable intentions. Rather it is a matter of going beyond them to include a larger vision of health and safety that includes the future of our global environment. An off-the-grid urban cottage does just that by asking nothing for itself… literally. That ‘nothing’ includes virtually no impact on its site while adding valuable density. This may seem like an awful lot of global environmental weight to put on a cute little Laneway house but why not? They’re already half way to being sustainable by being small, so let’s finish the job. The Urban Cottage also ties in nicely with the practice of urban agriculture to further increase self sufficiency. Also, as a ‘Failure to Launch Pad’ it will at least feel more isolated from the mother ship albeit conceptually. A Laneway version of Walden Pond or better yet a water detention moat, would also help. At any rate, it’s hard to imagine a more snug or smug person than the new urban cottager rising each day to a cup of solar heated, shade grown, free-trade coffee before getting to work in their home based electronic cottage industry. Zero net water, zero net power, zero net travel and zero net hassle. There’s a longstanding tradition of puttering and Mr. Fixitism associated with backyard garages. But let’s face it – a lot of the work done in Dad’s garage/workshop amounted to a thinly veiled getaway from mundane chores and family obligations. Naturally with the advent of increasingly high tech digital entertainment the manly retreat migrated indoors to dryer climates often leaving the garage or workshop to moulder. It’s hard for a table saw to compete with a massive high definition screen and surround sound. The arrival of the Laneway house however signals the newly synthesized Man Cave + Workshop, re-united in the back yard where they belong. The benefits are huge because the complete acoustic separation allows noisy groups of Hockey or World Cup fans to cheer and rant to their hearts content. The presence of a bathroom, fridge and microwave makes for a disruption-free getaway where loud entertainment, car repairs and woodwork can happen with the Plasma screen in view and sound system blaring. So the ‘testosterone zone’ can rise again in its’ more custom upholstered, digitally enhanced form. Surprisingly this has some inadvertent environmental benefits because, like the live work studio (we’ll talk digital cottage in further installments), there’s no need to drive the crew to pubs or sports bars. 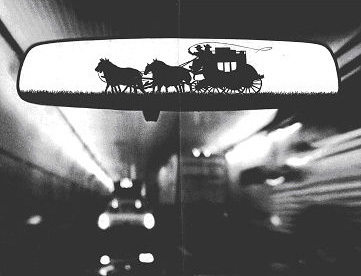 Hidden irony: We can celebrate car culture by driving less. Supposedly men have trouble multi-tasking. But the gathering of all-things-male under one roof at least gives us the chance to disprove that myth because the tools are right there next to the entertainment unit. So Men – it’s time to rise up and reclaim the multi-tasking high ground. The Laneway house is your time to shine…and drink and channel surf etc. etc. all at once. The Laneway pad is also a great personal design expression opportunity for both genders because, while the Man Cave gets all the Mac Daddy Macho decor, the rest of the house can free itself of Moose heads, Harley memorabelia or Tuck and Roll upholstered mini bars. Don’t get me wrong here. The Laneway can be a retreat for either gender and accommodate a wide range of uses, which we will get to – but the happy proximity of cars, tools, cold beer and big TV’s: well that’s just too good to pass up. 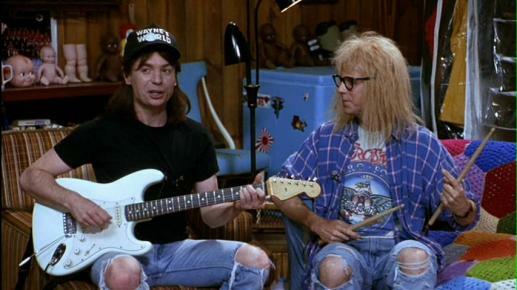 Party on Garth. Although originally intended as a manifestation of Vancouver’s Eco-Density initiative, Laneway houses have many uses beyond adding urban density. One of my favourites is what I like to call the Failure to Launch Pad. The Laneway house can become a great semi-autonomous home for your recent college graduate who is struggling to find space, identity, and privacy. It is a perfect solution in many ways because the occupants are still close to home but have sufficient distance to at least feel independant. As we know many young 20 somethings are returning from sucessful university careers to a very challenging job market. When you have been on your own for 4 years or longer, coming home can be a bit of a rude shock. Parents still see their children as a little boy or girl and treat them accordingly. This, coupled with the fact that many returning students regress, can be a nasty cocktail of resentment and dependance frustrating for parents and children alike. 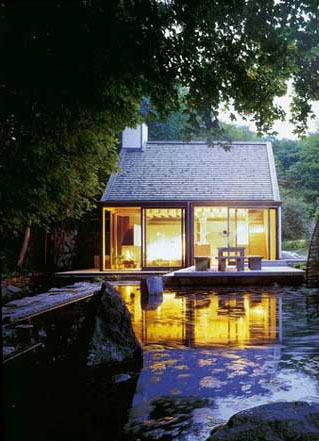 The Laneway house or the FTLP provides a successful compromise with private access such that nocturnal comings and goings disturb no one – i.e. you can each have a life. The reciprocal advantages are that your aging parents will often want you nearby so a good symbiosis can evolve from this close, but not too close, proximity. It can even provide a viable office/studio/cottage industry opporunity for the occupant, helping them to atain the means for a full and successful launch into full independence. Demographic studies have shown there is a return to the traditional model of the multi-generational family. 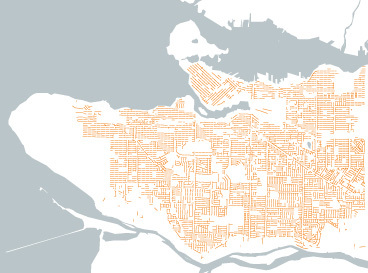 This is just one of many great uses for laneway houses. Stay tuned to find out the others.